What is TransferWise and why should I use it? TransferWise is a cheap and fast peer-to-peer, online money transfer service. It was developed in 2011, and has gained, since then, helped people all over the world transfer over $1 billion dollars from and into over 300 currencies. You can hear their opinion here. The founders of the company understood on their own skin how costly can it be to transfer money from a country to another through banks. This is how the story began. Why should you start using TransferWise? Firstly, because it is 8X times cheaper than transferring money through bank accounts or other money transfer services. And it is a lot faster. 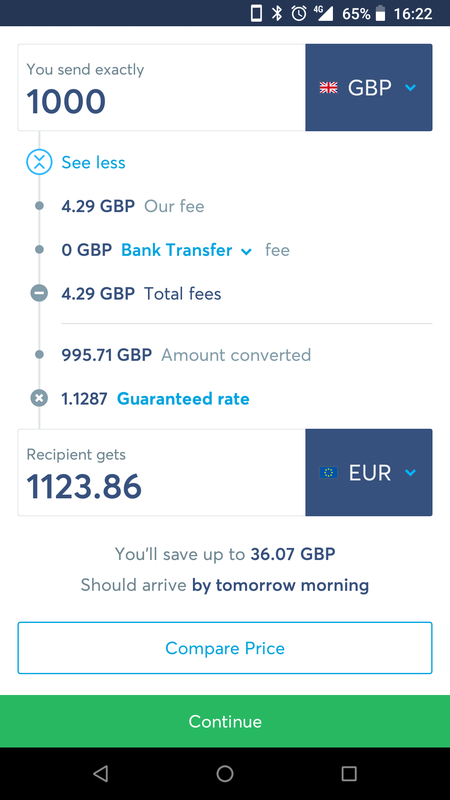 With TransferWise you see directly how much money your family or friends will receive and when they will receive it, in real time, directly by email or in the application. TransferWise uses the exchange rate you can find on Google, which is the real exchange rate, with no second charges added. Because it is a transparent service, you know exactly the fees you pay as you transfer. The logic by which TransferWise makes international money transfers is simple to understand. The peer-to-peer system it uses enables you to transfer or receive money at lower costs, because the money never leaves borders. Why? That is easy. TransferWise has box in every country with its currency. Let’s say that you, have found a job as a childcare practitioner in the UK through Reachjobs and want to send money to your mother from Spain. If you do that through a bank transfer, you have to pay the fee for exchange at the bank’s exchange rate and then pay a fee for the money leaving the borders. Because TransferWise uses the Google exchange rate and the money never leave borders, you do not pay these fees. TransferWise has a big box of pound in the United Kingdom and another big box of Euros in Spain. 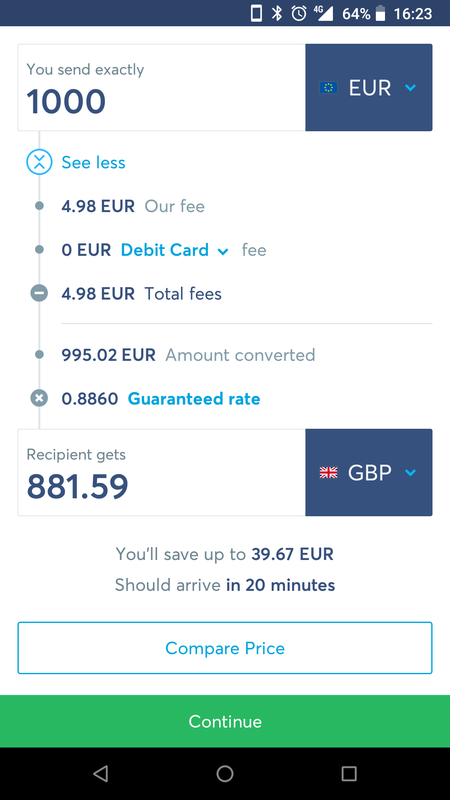 When you want to transfer money to your mother from Spain, TransferWise finds you someone who wants to transfer money from Spain to the United Kingdom. You leave the money in the UK box and your mother receives the money from the Spain box. Why is it cheaper and what do I have to pay? Because TransferWise uses the peer-to-peer system, you don’t have to pay the fee for the money leaving the borders, also, the exchange rate is the one showed on google after a simple search, which is the smallest one. TransferWise also saves you time, as you can send money online through the application (which can be downloaded for Android or iPhone) or directly from their website. To register to TransferWise is completely free, the only transfer fee you have to pay is showed when you are doing the transfer and it amounts to £2 per transfer for sums of money under £400 and 0.5% of the sum for sums of £400 or higher. You see on the transfer panel how much you want to transfer and how much the recipient gets. The difference between the two sums of money is the exchange rate. If you make a payment to another bank account, other for TransferWise, from TransferWise, there is a fixed fee to pay, which varies by the currency, and it is shown on the transfer panel. If you transfer money from your bank account to TransferWise, you will have to pay a small fee, like any transfer between banks. To put money on TransferWise, without paying any fee, just go to a bank office and put your money on your account from there. TransferWise is authorised by the FCA as an Electronic Money Institution. This means that TW can provide payment services and can provide online international money transfer services. The transactions made on TransferWise are regulated by the Financial Conduct Authority (FCA – Click here to learn more), authority that protects the users of the largest banks against fraud. To send money online with TransferWise you either need to have money in the TransferWise account or to make the Transfer via a credit or a debit card. The later one has a supplementary fee added by the bank you have an account at. It is free to add money on your TransferWise account by a local bank transfer. The transfer itself is quite easy. You only have to create an account, log in into it, set the amount you want to transfer and add the details of the recipient. You can either transfer money to another bank account or to another TransferWise account. After you add the detail of the recipient, the payment method has to be chosen (Debit or Credit card or Online Banking). That is all. The finish screen will tell you when the money will arrive. How do I withdraw money from TransferWise? The TransferWise borderless account is used to withdraw your money from TransferWise. The only thing you have to do is to send them into your bank account. After you select the currency your bank account is in, and click send, you will be redirected to an instructions page, which are easy to follow. Save money when you send money - try it now!